FoxTale Book Shoppe is celebrating eight years in business and is often compared to the Shop Around the Corner from “You’ve Got Mail. 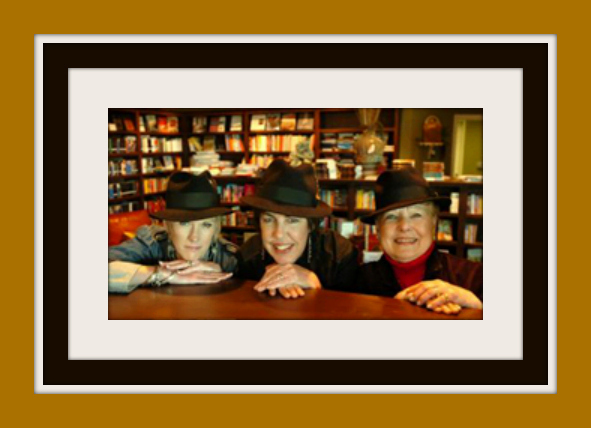 The store is the brain child of three ladies, Ellen Ward, Karen Schwettman and Jackie Tanase. They’ve managed to develop a strategy for success in an increasingly competitive marketplace. I recently spoke with Ellen who provided some insight into the success of their shop in historic Woodstock, Georgia. Each book is hand picked for your store. With such valuable shelf space, how do you make those decisions? Ellen: When FoxTale first opened, we went with the New York Times Best Sellers and and most popular books from wholesalers. As we gained insight into what our customers wanted, we became more confident in our choices. We now work directly with publishers and authors to carefully select the books. Our decisions come from the authors we know, ones that have visited the store and new ones that sound interesting. We also lean toward strong women stories, but we look at the whole population. We have to anticipate what’s going to sell a year from now because we are already looking at books that will be released in winter 2016. What do you look for in the middle grade genre? Ellen: We like middle grade books with series so we can get repeat buyers. To be honest, middle grade and young adult are some of the hardest books to sell because that age group is less likely to come into the store. The biggest success we’ve had is when we pull readers in with the author visits. For example, Ridley Person, author of the “Kingdom Keeper” series draws kids who will come to the store for a signed copy and he also appeals to both adults and children. Another popular author was Tommy Greenwald and his “Charlie Joe Jackson series.” We watch to see what kids are pulling off the shelf. Lately, we’ve found some of the non-fiction categories to be popular such as the “I Survive” book series and biographies. Have you done a lot of off-site selling? Ellen: Yes, Foxtale brings their bookstore on the rode to writers conferences and literary festivals such as the Decatur Book Festival and the Georgia Center for the Book. We also set up shop at author launch parties for some of the bigger authors where we sell their books exclusively. FoxTale has the most events of any bookstore in Atlanta. We have a solid marketing program that include author visits, social media, book clubs, story time and writing workshops. My ad agency background is something I use on a daily basis. Our difference is that we know our customers and can help put the right book in their hand. I sometimes say that FoxTale is like running a bar. We become familiar with our regulars and also have new customers visit our store every week. I sometimes will get the comment from a customer that they can get a book cheaper at Walmart. If that’s what they want then fine, but at FoxTale they are getting the experience. Plus, we offer many of our events at no charge. If someone has the dream of opening a bookstore, what would be your advice? It’s not for someone who just likes books. Some people get into this business because they love books, writing and reading. But most of all you have to love people, authors (sometimes quirky) and the business end. You have to wear lots of hats. It doesn’t just happen, you have to know what you’re doing and create an environment. You also have to be a salesperson. We’re not a non-profit. You have to love the customers, the authors and the embrace the store environment. If you’re shy, this is not the business for you. Thank you so much Ellen for giving us a peek into the world of the Independent Bookseller. You can find out more on their website at http://www.foxtalebookshoppe.com.